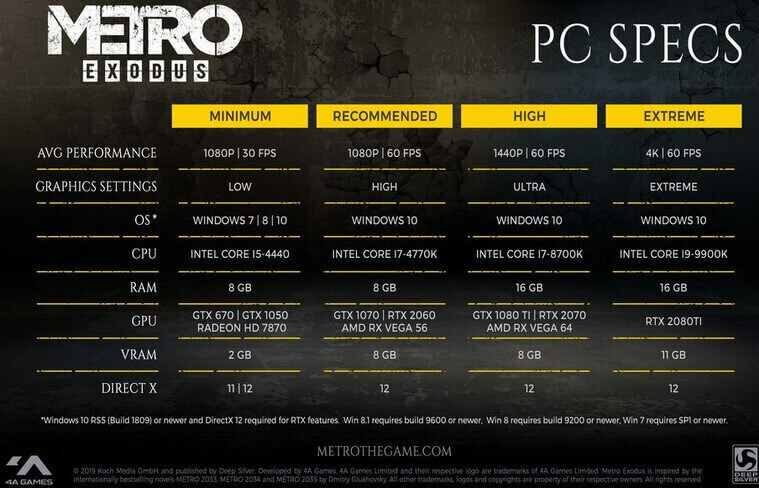 4A Games has just revealed the official PC specs for the Metro Exodus. 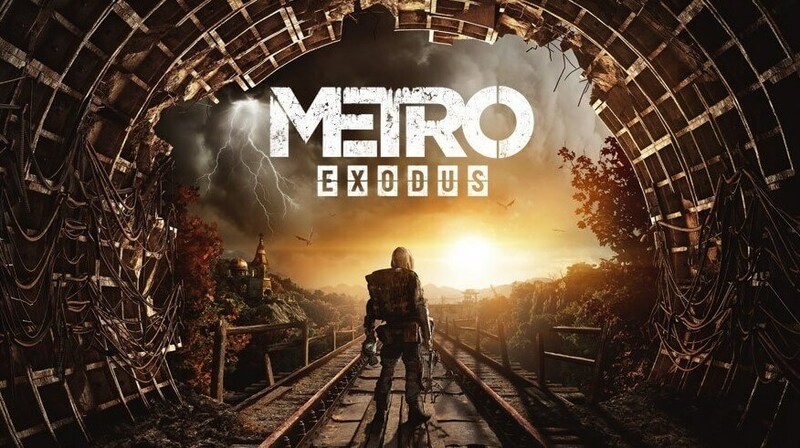 The game is made using the 4A Engine, and thanks to the flexibility of the 4A engine the fans with the entry-level hardware will have a great experience of the Metro Exodus, as indicated by the 4A Games. For those of you with the great hardware will be able to play Metro Exodus in extreme settings at 4K resolution / 60 frames per second. Metro Exodus will also support real-time Ray Tracing on NVIDIA’s range of RTX cards. 4A games will release RTX-specific performance profiles for the Metro Exodus in the coming days. "Narrated from the perspective of Anna, the Spartan Order’s top sniper and Artyom’s wife, the Story Trailer explores the hostile world of Metro Exodus that lies in wait for the crew of the Aurora as they flee the ruins of Moscow and embark on an epic year-long journey into the unknown. Artyom always believed that there was life beyond the Metro – now his hopes and dreams will be put to the ultimate test in the crucible of the Russian wastelands. Explore the Russian wilderness in vast, non-linear levels and follow a thrilling story-line inspired by the novels of Dmitry Glukhovsky that spans an entire year through spring, summer and autumn to the depths of nuclear winter." Metro Exodus is coming on 15 February 2019 on Xbox One, PlayStation 4, and PC.